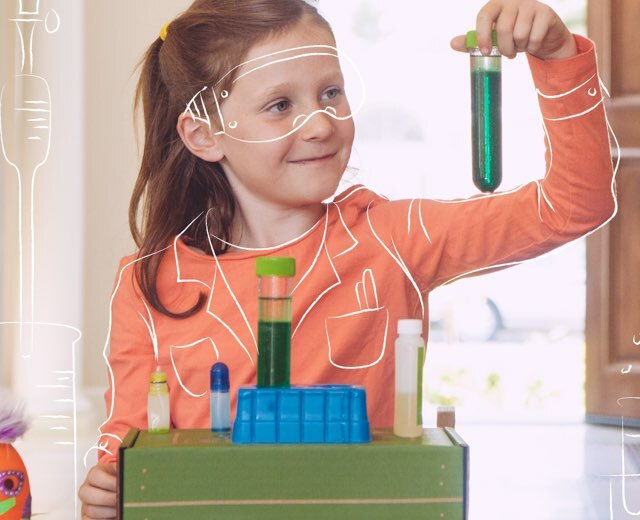 These science fair projects for 9th grade are perfect for older kids to explore advanced science concepts and tinker with some more exciting materials. Make a tea bag fly with heat! The flying tea bag experiment is a similar concept to a hot air balloon, but you can do it right at home. Did your tea bag lift into the air? When the tea bag was lit, the flames started to heat the air within the teabag. The heated air rose above the cooler dense air (similar to a hot air balloon!). Once the teabag was burned, we were left with the lightweight ashes of the tea bag. The lightness of the ashes combined with the heated air caused the tea bag cylinder to lift into the air. Create a whirling fire torch of your own. The flames spin upwards into a vortex from the rising heat and wind. Follow along to safely create a whirling fire torch yourself! Stand back and watch your fire form a helix. Experiment with the spinning speeds to see how it affects the shape of the flaming tornado! The flame will last a few seconds and eventually die out as the paper towel burns. Exercise all caution while the flames are live. The beaker may be very hot so use tongs to keep your fingers safe! Give this experiment a try, and see how many paper clips you can pick up with your electromagnet! Unlike the magnets that are used on refrigerators, electromagnets are magnets can be turned on and off depending on the flow of electricity. The electricity that flows through the wire allows the molecules on the in the nail to attract to certain things. 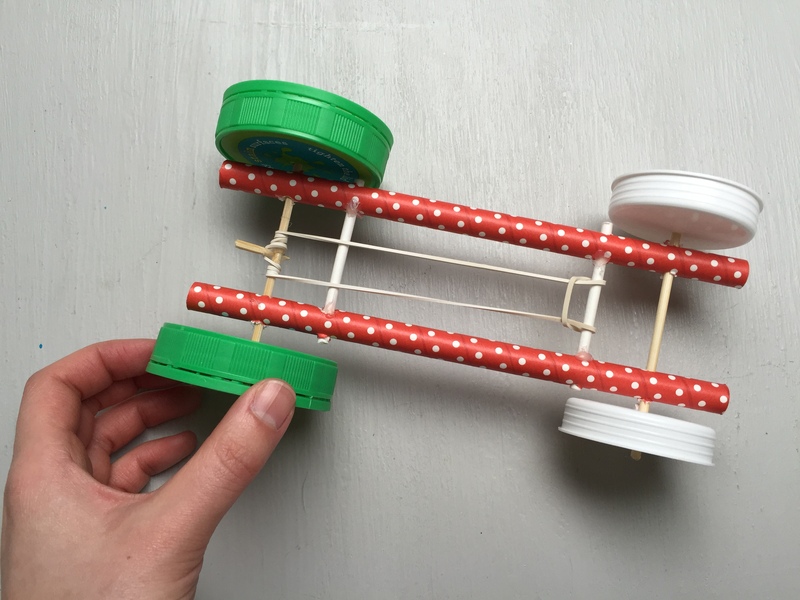 Using simple household materials and tools, it’s super easy to create a rubber band powered racer and experiment with wheels, rubber bands, and different surfaces to see how fast your racers can go! To wind up your car, carefully turn the large wheels of the car so that the rubber band winds around the back axle. Let go and watch your car spin off! Continue experimenting with your car and try different size and length rubber bands. What combination works the best?